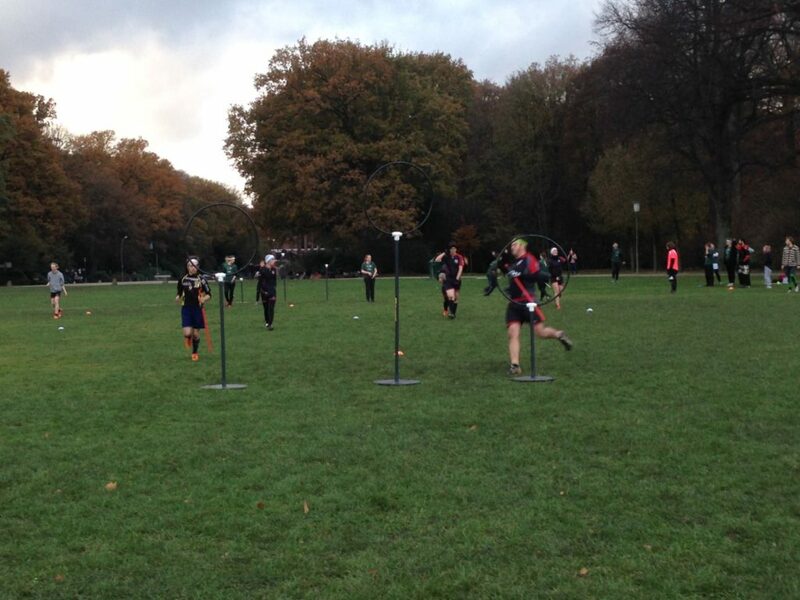 Harry Potter fans listen up: Quidditch for Muggles is a thing! 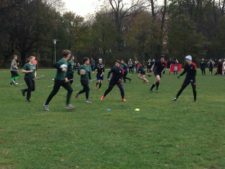 19.11.2016 – the Hamburg Werewolves succeed against the Portkeys Bremen. 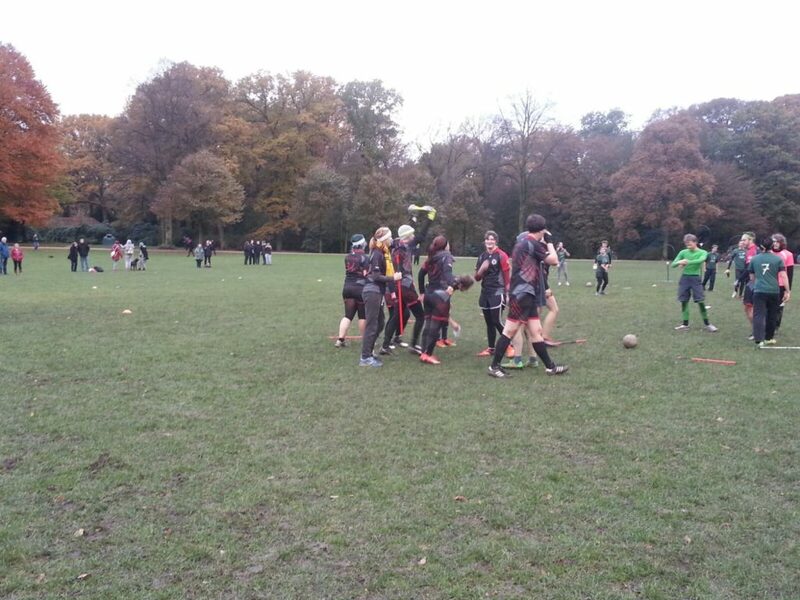 2.30 pm, Stadtpark Hamburg, near the subway station Borgweg, the starting whistle for the Quidditch match of the Hamburg Werewolves against the Portkeys Bremen. Quidditch is a contact sport which is played in mixed-gender teams and combines elements of handball, rugby and dodgeball. It entered the “real” world in 2005, when students in Middlebury, USA, found a way to adapt the Harry Potter sport to a world in which brooms, sadly, can not fly. Since then, both the sport itself and the community have grown enormously. All players must keep a broom between their legs during the entire game. Aerodynamically adapted to the sport and the safety requirements of the contact, these are generally light PVC rods. Each team sends seven players onto the field: three Hunters adjust the Quaffle (a volleyball) and try to throw it through one of the opposing team’s three rings to score 10 points. The Keeper defends the team’s own rings. Two Beaters play with Bludgers (Dodgeballs) which they throw after opposing players to “knock them out”. Each player who is hit by a bludger must get off their broom and not interfere with the game before touching the rings of his own team. The Seeker of the team is trying to catch the Snitch. The Snitch is an impartial, often very agile player, dressed in yellow and with a tennis ball in a sock attached to their waistband. If the Snitch is caught, the game ends and the successful Seeker wins 30 points for their team. Of the seven players on the field, a maximum of five can identify with the same gender. In this way, players of any gender, whether inside or outside the binary, are welcome to play Quidditch. The international Quidditch community is managed by the International Quidditch Association (IQA), which also organizes international Quidditch tournaments. 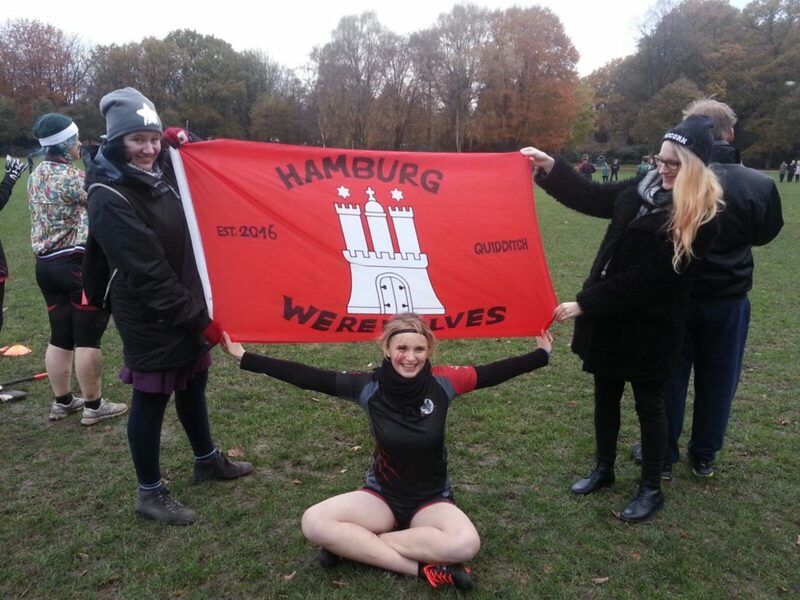 Thus, Germany has its own league and the Hamburg Werewolves, which were established only this year in July, are a fixed part of it. Laura was listening to Bastille – Flaws while writing this article.